The fourth installment in the Alvin and the Chipmunks movie franchise is officially titled Alvin and the Chipmunks Road Chip. Yep, Alvin and his mates will go on a road trip! Been checking casting calls and it sounds our friends will meet bikers, cow boys, Latinos, cosplay fans, and college students. Among other cities Alvin and his mates will visit Los Angeles, Miami and possibly Atlanta, and I guess New York City. And Actor Tony Hale has been cast as the film’s villain. The release date of Alvin and the Chipmunks 4 Road Chip is set to December 23, 2015. 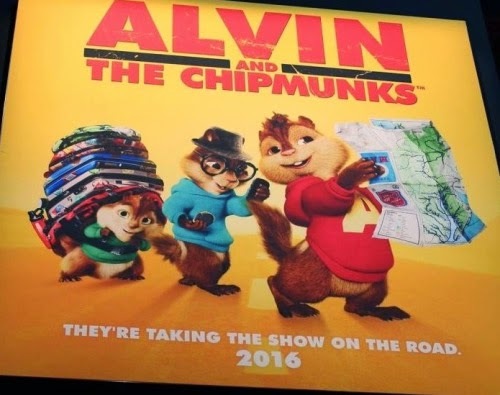 Anyway, stay tuned with for more details about Alvin and the Chipmunks Road Chip!